Today’s blog post is the second part of our discussion of archaeological typologies as seen in Skyrim. Last week we started off the conversation with an example of using typology to differentiate between ancient Nord and Dwemer ruins in Blackreach (you can read Part One here!). For today, we’ll be continuing this conversation by looking at functionality and typology, as well as the way Skyrim takes typologies to the extreme through the design of certain items and how this simplified version of typology may reflect criticisms of the practice by archaeologists. 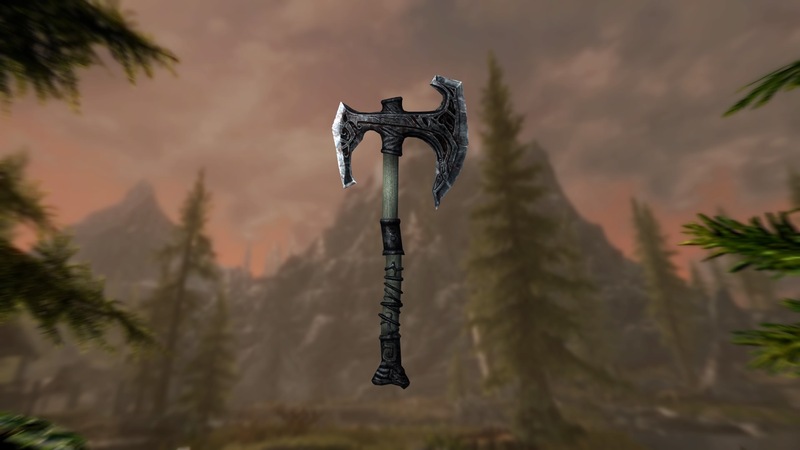 We can see the item design in Skyrim as a way of talking about typology (or the method by which archaeologists categorise stylistic elements of material remains in order to associate them to a certain time period and/or culture) in relatively simplistic terms – after all, if we look at the physical characteristics of different pieces of weaponry and armour from different cultures, we can see how they completely different they are and how easy it is to identify where an item originated. In the overall Elder Scrolls lore, ideas of culture are more or less simplified into being race-specific, with additional cultures based on in-game factions. There are 10 playable races that make up the majority of the material culture in the video game: the Altmer, (High Elves), Argonians, Khajiit, Nords, Imperials, Bosmer (Wood Elves), Redguards, Dunmer (Dark Elves), and Orsimer (Orcs). In addition, there are several non-playable races with their own specific material culture (the Falmer, the Dwemer, the Daedra), as well as faction-specific cultures as well (the various Guilds, the Blades, the Stormcloaks, etc.). 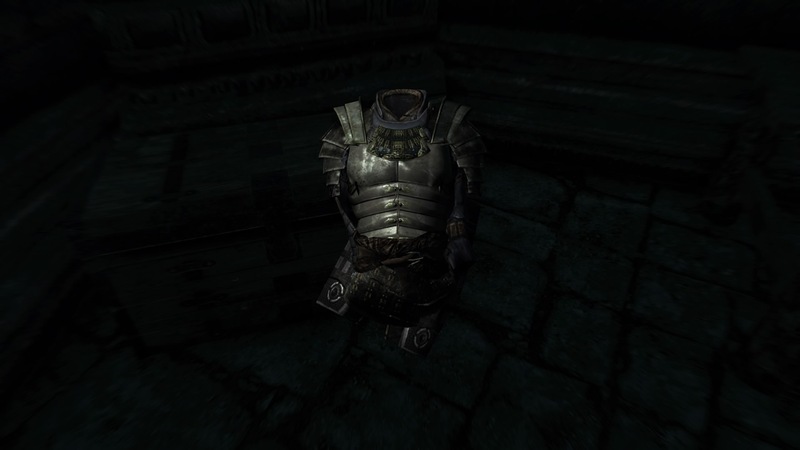 Overall, Skyrim’s archaeological record is filled with a diverse selection of different cultures intermingling, with very obvious physical markers on their material goods that allow the player to differentiate between them when obtaining equipment throughout the course of the game. It should also be stressed that the in-game concept of race and culture as more or less interchangeable is incredibly simplified and not at all a reflection of real life, which is far more complex than that. For example, let’s look at the four weapons in the above image, each of which originates from a different culture. On the top left is an Orc sword, on the top right is a Dwarven axe. On the bottom left is a Redguard sword (more specifically, a scimitar), and on the bottom right is an ancient Nordic axe. The stylistic differences are very obvious and would be easy to see that there is a certain typology involved in the creation of each weapon within each culture. But let’s take it further and discuss why these stylistic differences are necessary – after all, this is another aspect of typology which makes the process valuable to the interpretation. To start, let’s look at the Orc sword. 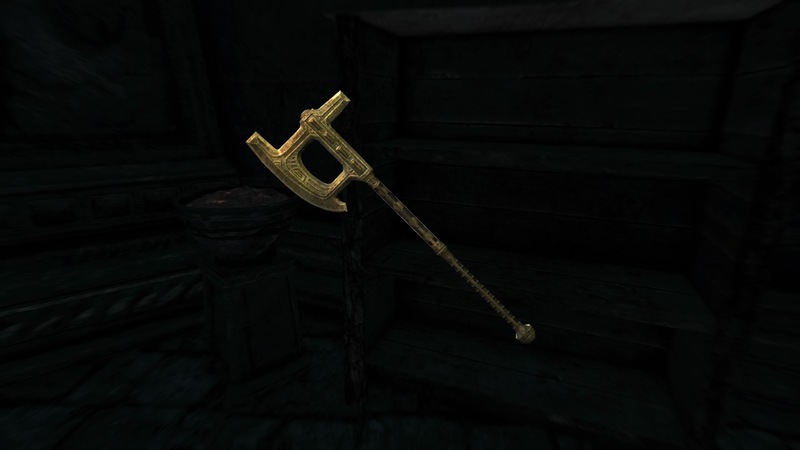 Based on the Orsimer culture from which it originates, its possible that the strange shape associated with Orc weaponry may simply be a reflection of their culture’s strong emphasis on warrior culture and blacksmith skills; in fact, the Orsimer culture is, within the lore of Skyrim, known for the high quality smithing that is taught from a young age and results in some of the best weaponry in the realm. The Dwemer, or Dwarves, were known for their mechanical prowess and utilisation of metalwork in their complex and intricate machinery that can still be found in working condition centuries after their disappearance; their proficiency in metalwork can also be seen in their weaponry, which are often more decorated with small details than that from other cultures. 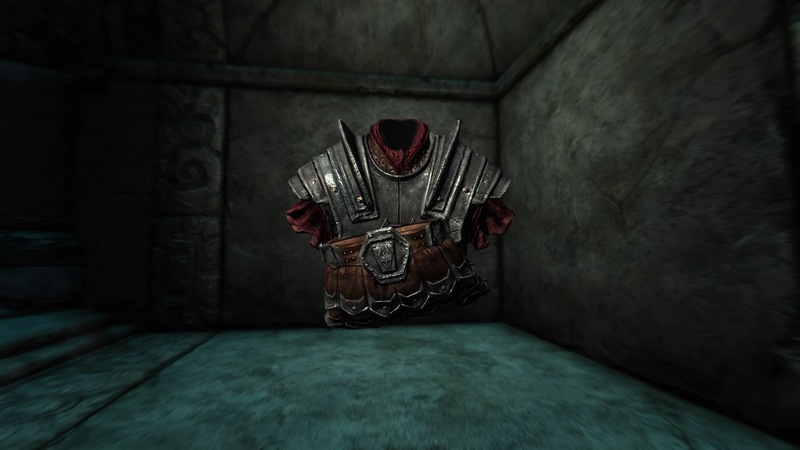 The stylistic traits associated with the material culture of the Redguards and the Nords, on the other hand, can be best explained from the perspective of the creation of the game’s lore. As players may notice, many of the in-game races are clearly based on real life cultures – this is clearly seen with the Nords, who are not only based on Norse material culture, but also named after it. 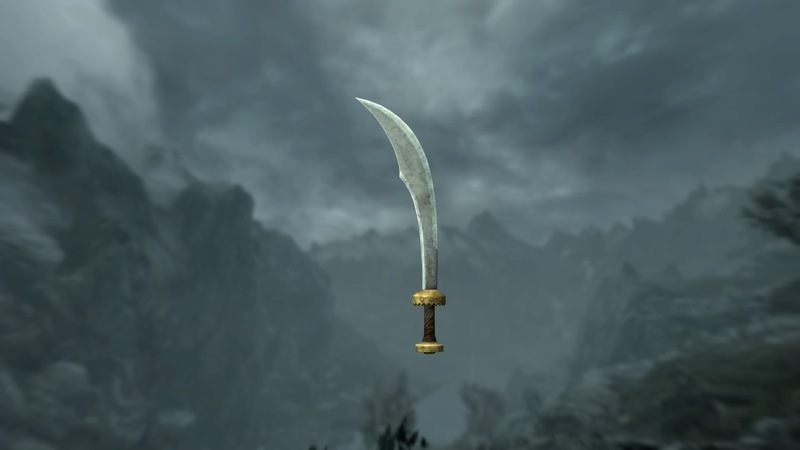 In the case of the Redguards, the game designers were inspired by African and Middle Eastern cultures, explaining the substitution of the usual longsword found in the other Elder Scrolls cultures with a scimitar, which has its real life roots in the Middle East. As another example in cultural typologies, let’s look at the above image comparing three pieces of armour. From left to right, we have an Imperial cuirass, a Blade cuirass, and an Elven helmet. Again, all of these pieces of armour have distinct stylistic characteristics – but let’s take a closer look at the Imperial and Blade armoury. Again, from an out-of-game perspective, we can clearly see where the real life inspirations lie – the Imperials are, as one can tell by the name, based off of Roman legionnaires, while the Blades take their inspiration from Japanese Samurai warriors. And yet, it can be argued that the two pieces of armour have similar characteristics in design as well. It could be that this reflects the entwined histories of the two cultures – according to the Elder Scrolls lore, the Blades were a group of Akaviri warriors (another extinct race that are represented in other games in the Elder Scrolls series using East Asian-inspired architecture and artefacts) that eventually became part of the Imperial life as bodyguards. The Elven helmet (which is more often worn in-game by the Altmer or High Elves) doesn’t necessarily reflect a similarly elaborate history, but it is another example of functionality reflected in cultural style – the shape of the helmet appears to specifically suit the shape of an Altmer, who often have higher foreheads and elongated faces. 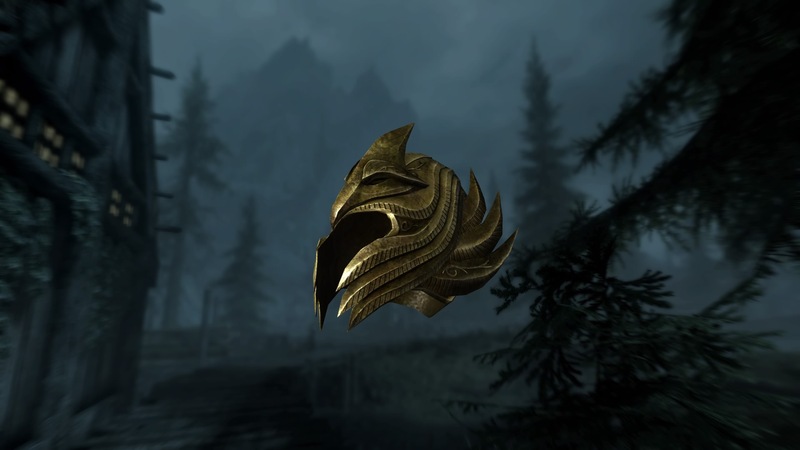 It could also be argued that the ornate and feathery style of the helmet is an attempt to emulate the alleged ancestors of the Altmer – this refers to the Aedra, a race of god-like immortals that have disappeared from the realm prior to the story of Skyrim. Although the extreme stylistic differences between Skyrim’s cultures make the process of typological analysis appear to be very simple and easy, it’s a bit more complicated in real life. There has been a lot of debate on the usefulness of typologies in general, and how they may ultimately just be a reflection of bias on the part of the archaeologist. Typologies could be argued to have been more modern inventions, based on the outside perspective of an archaeologist that does not reflect the realities of the past culture from which it originated. These invented types may eventually become “canonised” within archaeological literature and considered the “truth” – ultimately obstructing alternative interpretations (Boozer 2015). Additionally, it can be argued that typology presents the idea of culture as relatively static and unchanging, which may not be accurate (Hill and Evans 1972). 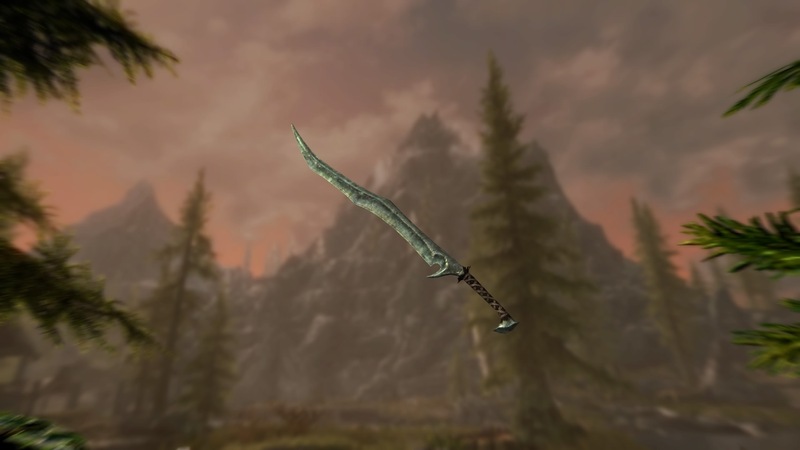 In some ways, this is shown within Skyrim’s material culture – Nordic styles (as discussed in Part One of this post) change over time, the Blades maintain their Akaviri roots in their ornamentation while being subsumed into Imperial culture, etc. Regardless, typology has certainly been an important analytical method in archaeology, albeit a controversial one in some cases. And while it may not be as useful as it was once thought, we can use the theoretical concepts utilised in typology to further our interpretations, but still be open minded and conscious of the hidden biases that may be disrupting our research. Bethesda Game Studios. (2011) The Elder Scrolls V: Skyrim. Boozer, A.L. (2015) The Tyranny of Typologies: Evidential Reasoning in Romano-Egyptian Domestic Archaeology. Material Evidence: Learning from Archaeological Practice. Routledge. p. 92-110. Hill, J. and Evans, R. (1972) A Model for Classification and Typology”. Models in Archaeology. Methuen. p. 231-273.